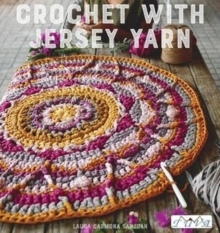 This colorful crochet book contains 20 stylish projects with t-shirt yarns. Crafters of all skill levels will create quick and easy rugs, baskets, cushions, and more. The ideas are fresh and original and the beautiful color combinations will inspire crafters to continue creating projects with eco-friendly materials.